Global’s Divers Bring Skill, Expertise and Value to Every Project - Global Diving & Salvage, Inc. In the last few years, numerous news and trade publications have reported an increasing deficit of skilled laborers in the US. Like other trades, commercial diving relies on a highly trained and skilled labor force. You might expect Global to be experiencing a similar labor shortage and a lack of younger divers entering the trade, but fortunately that’s not the case, said Dan Pierson, Global’s Vice President of Operations. The mystique of commercial diving has kept dive schools full, but unfortunately many divers abandon the career before gaining the experience that Global looks for when hiring. Customers come to Global when they’re looking for the highest level of service. We have a reputation for finishing every project we start, and doing it right – that means hiring the best people for the job. In this video Devon Grennan, Global CEO, explains how our company and our customers benefit from the advanced skills of our divers. Once commercial divers have spent a few years in the field developing their skills, they often seek out employment opportunities at Global. We’re widely known for hiring top-tier divers and treating them well. I’d love to learn more about the field of Commercial Diving! Perhaps a sort of mentor I can ask questions from. Hi Christian! 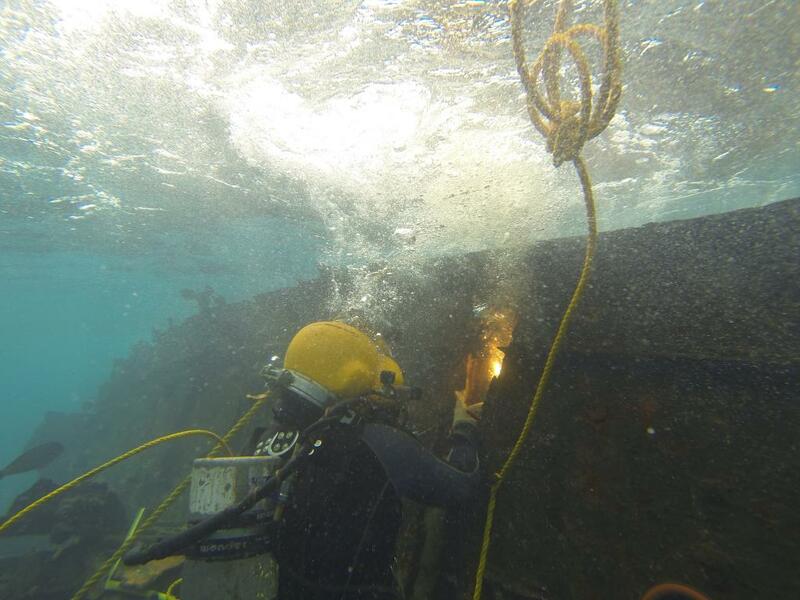 Commercial diving is definitely an exciting field to get into, with a wide range of opportunity. The best place to learn more about the field is from one of the schools, such as Divers Institute of Technology. We encourage you to visit their website, https://www.diversinstitute.edu. There you can learn more about commercial diving, and they have links to other great resources.